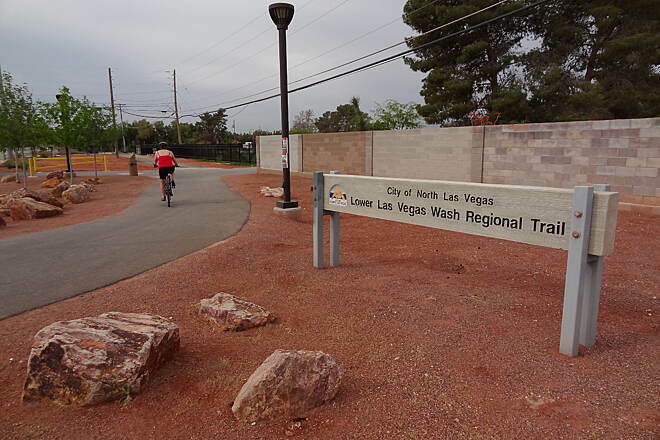 The Lower Las Vegas Wash Trail is a popular recreational trail in the Las Vegas area, the impressive result of a multi-jurisdictional collaboration between Clark County and the cities of Las Vegas and North Las Vegas. 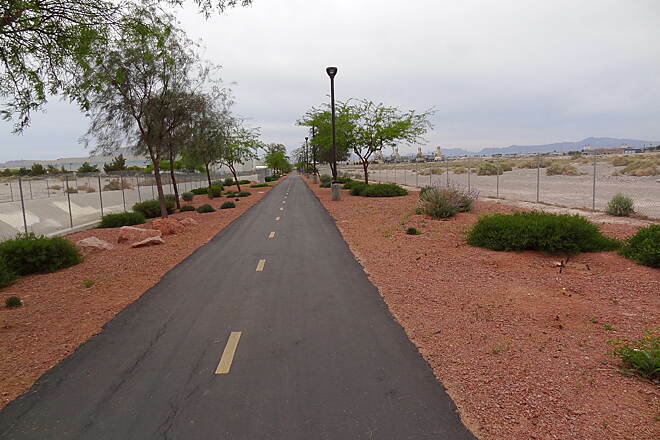 Nearly the entire trail follows the Lower Las Vegas Wash, an urban river that carries excess water from the region into Lake Mead. 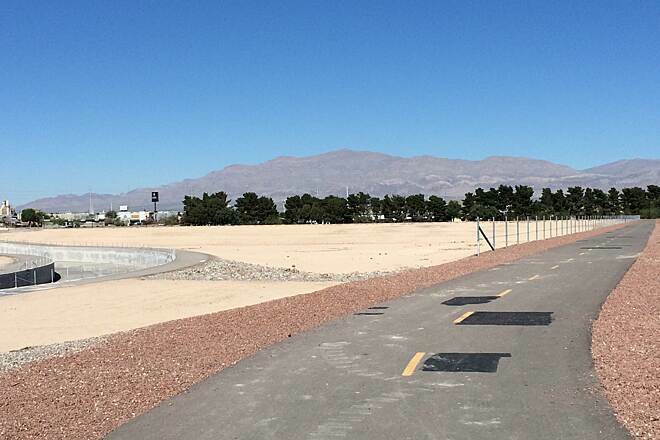 Three disconnected segments of the paved trail are currently open, although the full project is scheduled for completion in 2018. 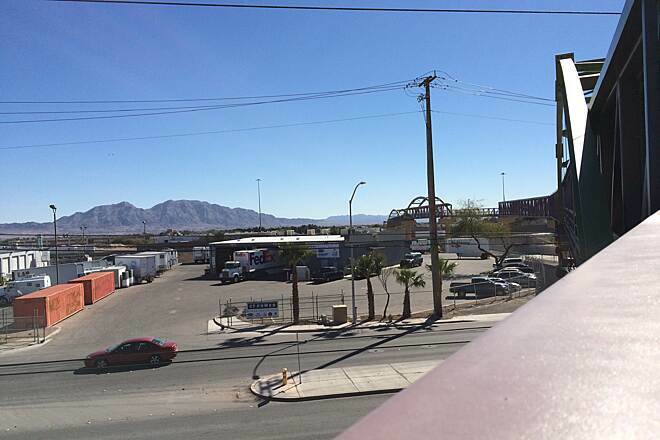 The longest stretch begins in North Las Vegas at W. Tropical Parkway and extends southeast along the dry riverbed to N. Lamb Boulevard in Las Vegas. Roughly two miles in, the trail passes Sandstone Ridge Park, with a bridge over the waterway providing direct access. 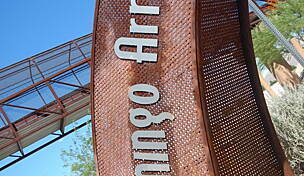 The park offers public restrooms, ball fields and basketball courts. 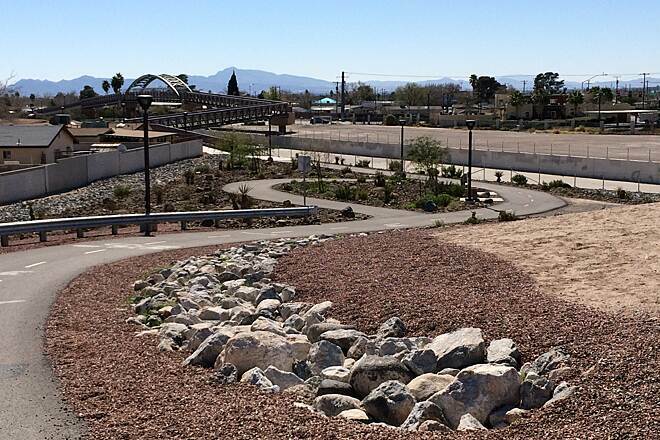 As the path continues its winding route through residential areas and desert landscaping, you can find comfort in the drinking fountains and shaded shelters along the trail. Between Camino Al Norte and N. Commerce Street, the trail emerges into Craig Ranch Regional Park. The sprawling, 170-acre park—once home to a golf course—now offers a host of recreational amenities, as well as a tree grove, central plaza and gardens. 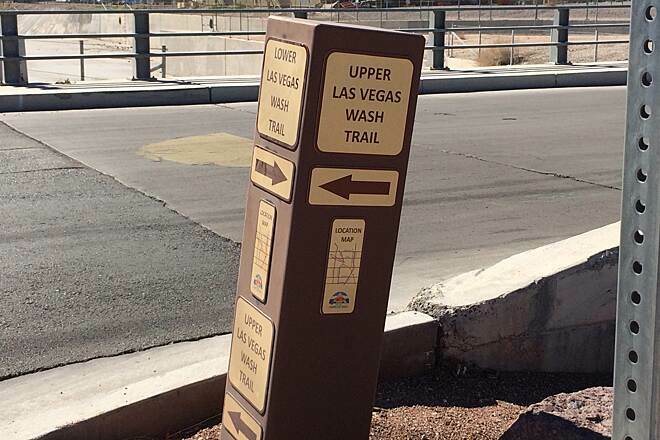 At E. Alexander Road, the trail meets the Upper Las Vegas Wash Trail, which heads east and then north once it reaches the urban river. 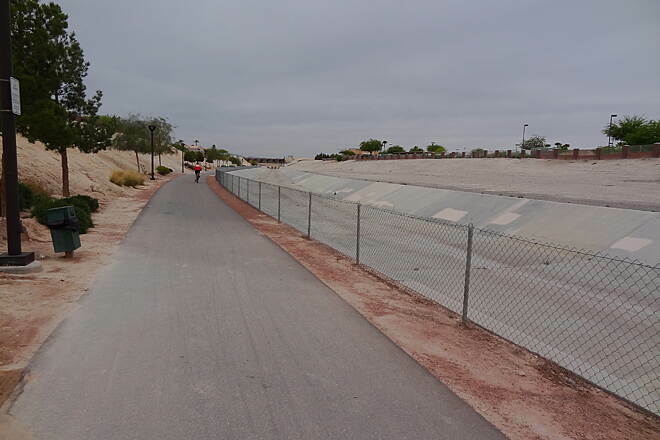 Continuing southeast on the Lower Las Vegas Wash Trail towards the unincorporated community of Sunrise Manor, trail users enter an industrial area dominated by low warehouses and construction yards. 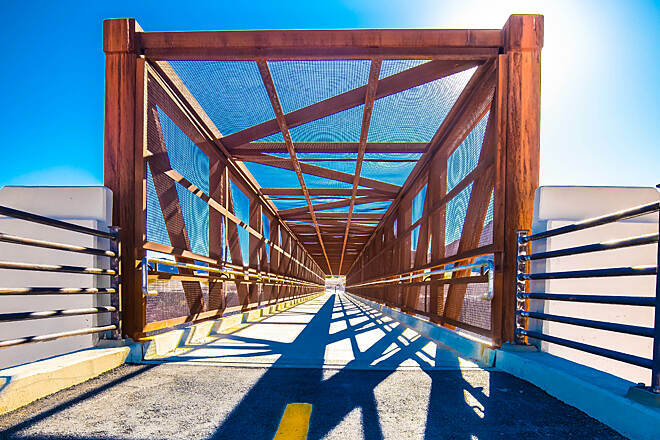 Soon an impressive series of bridges rises from the flat landscape, carrying trail users in rapid succession over Losee Road, an active rail line, Interstate 15/US 93 and the Las Vegas Wash.
Just to the south, the trail skirts the edge of the Cheyenne Peaking Basin, a detention pond set to be developed as a park. 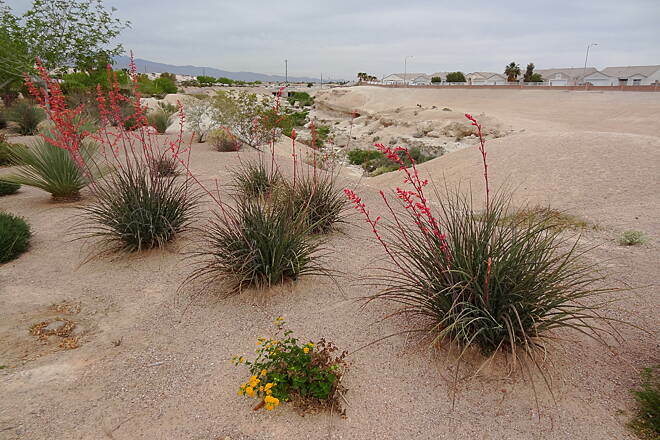 Beyond the dry basin, the trail's surroundings become markedly residential, although the massive Broadacres Marketplace & Event Center parking lot on N. Las Vegas Boulevard breaks the rule. Take a brief detour to browse the offerings at one of the facility's bustling swap meets, held year-round on Friday, Saturday and Sunday. 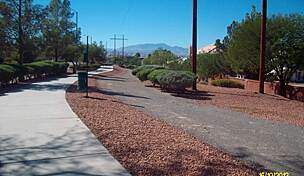 The trail crosses to the west side of the wash at E. Owens Avenue and then quickly reaches Las Vegas' new Douglas A. Selby Park and Trailhead. The area, which occupies both sides of the river, offers a soccer field, basketball court, picnic shelter, playground, dog runs, restrooms and an information kiosk on the trail. 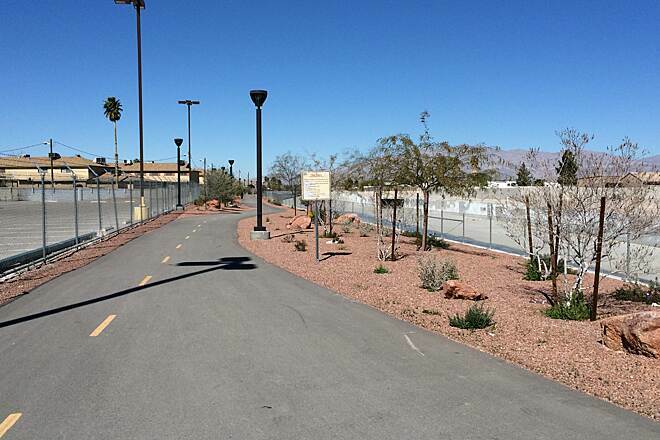 From there, the trail runs due east to its temporary endpoint at N. Lamb Boulevard. 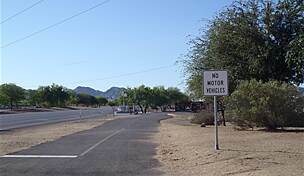 The next segment begins on Marion Drive, directly across the wash from Dell H. Robison Middle School and just a few blocks south of E. Washington Avenue. 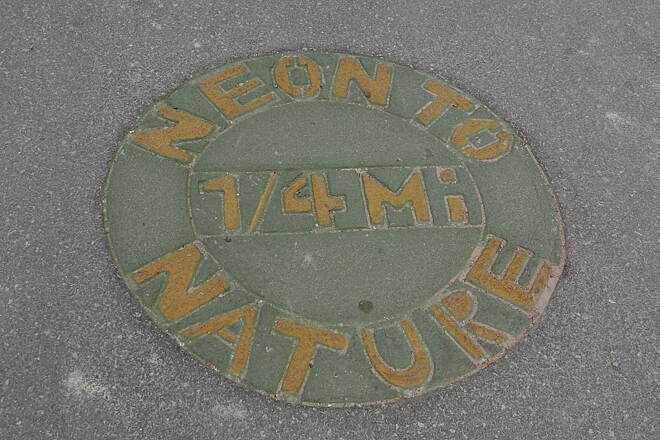 Resuming its journey south, the trail crosses back to the east side of the river at E. Bonanza Road. It meets its end at Stewart Avenue shortly thereafter. Blocked by the large Charleston Commons shopping center, the trail resumes at E. Charleston Boulevard, winding south to S. Christy Lane. 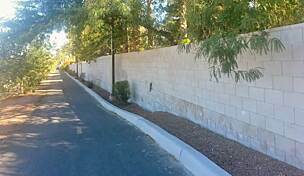 From there, the trail is a signed on-road route via a sidewalk and bike lane on Ballinger Drive to S. Sloan Lane. 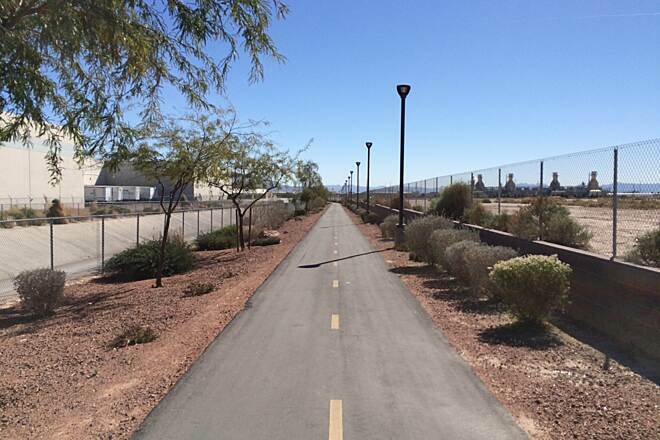 Along that road, a wide concrete sidepath extends the Lower Las Vegas Wash Trail to its terminus at a junction with the popular Flamingo Arroyo Trail. 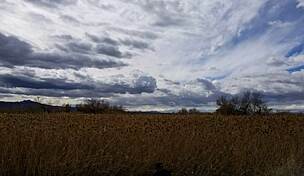 Continue on that connecting trail to wind through the nearly 3,000-acre Clark County Wetlands Park, which offers beautiful nature walks and plenty of wildlife viewing. 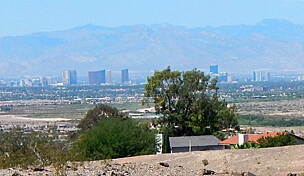 From the southern end of the park, adventurists can hook up to the scenic River Mountains Loop Trail to journey on to Lake Mead and the Hoover Dam. 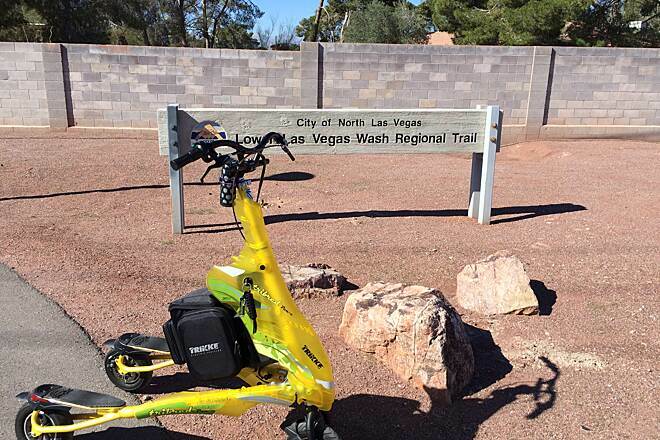 Parking for the Lower Las Vegas Wash Trail is available in North Las Vegas at Sandstone Ridge Park (1661 W. Hammer Lane) and Craig Ranch Regional Park (628 W. Craig Road), as well as at trailheads off Coleman Street, W. Washburn Road and E. Cheyenne Avenue. 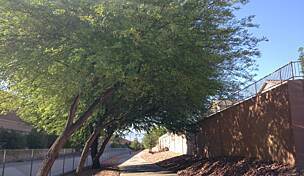 In Las Vegas, ample parking can be found at Douglas A. Selby Park and Trailhead on N. Sandhill Road (on either side of the wash). My husband and I rode part of this trail today and overall we enjoyed it. We started at Shelby Park . 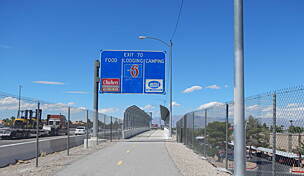 The first mile had litter and graffiti, but after Lake Mead Blvd. the trail had flowers, benches, water, trash receptacles. The bridges were so nice to use but even when we had to cross streets there were Walk Signals for us. We stopped at Arcata because we couldn't tell where the trail went from there. 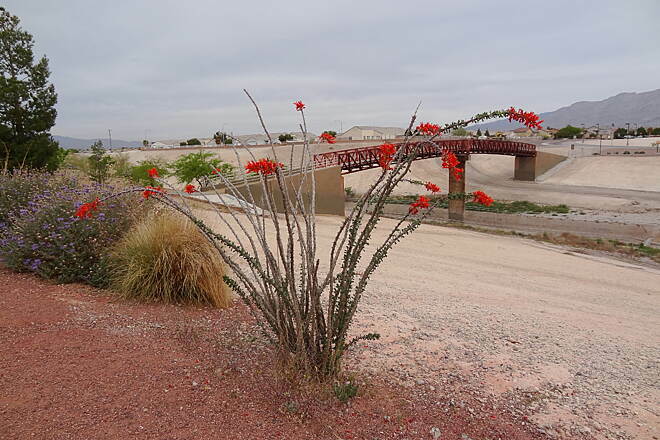 Being a visitor, I would have benefitted from street signs on the bridges The scenery wasn't impressive, being in a high capacity residential area , then an industriall zone . But the trail itself is well constructed. Really like this trail. 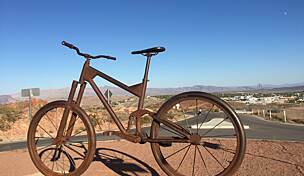 We live in the northern part of the valley (near Craig Ranch Regional Park) and can go to Boulder City mostly on the trail, with only a few segments on roads. 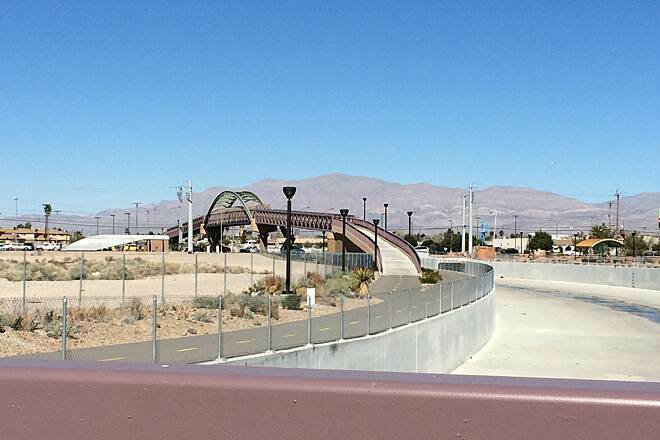 Many of the busy roadways along the trail have bridges for crossing. 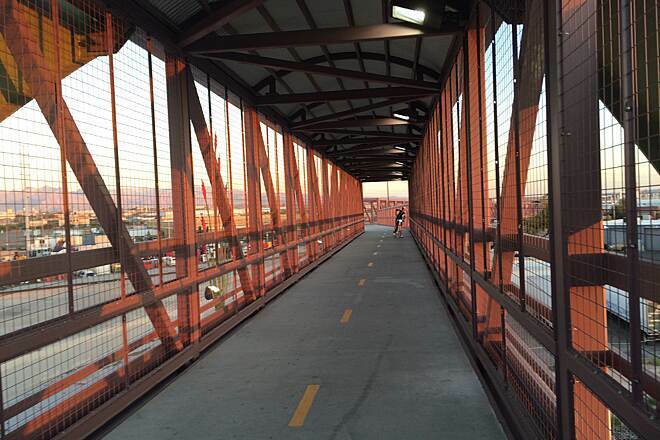 The bridge over Interstate 15 is a great asset to the trail. 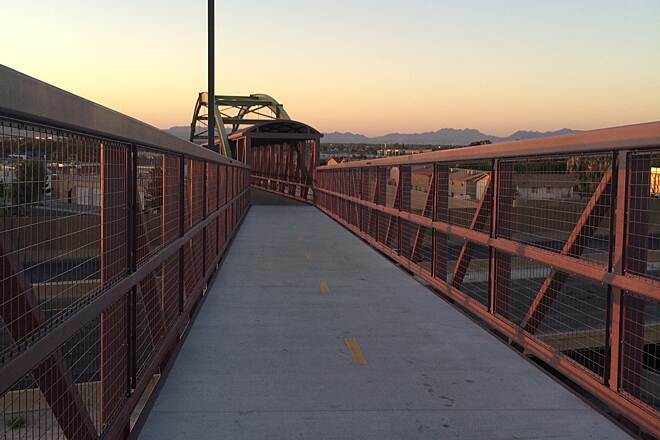 In February 2015, the bridge over Lamb Blvd was officially opened! It's a wonderful addition and the trail will continue to improve as the last few segments are completed in the next few years. 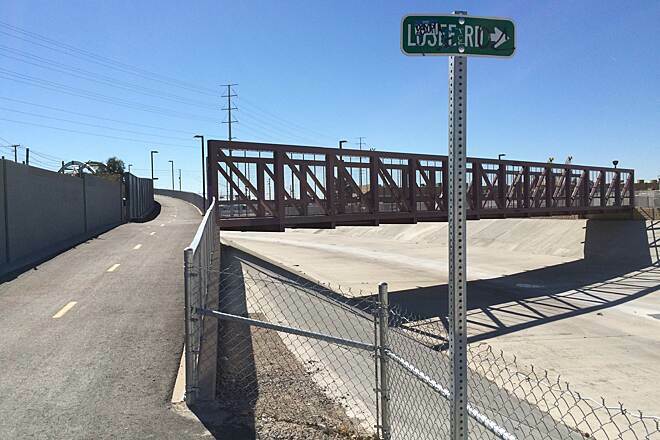 This trail is actually now called the Lower Las Vegas Wash. 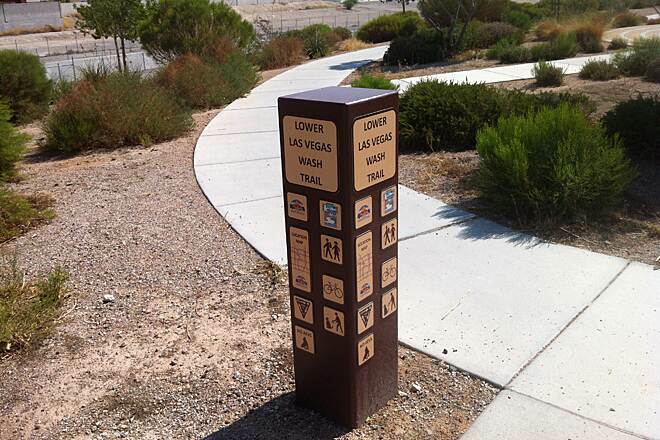 There is an Upper Las Vegas Was Trail but that isn't this trail. (They do connect but some distance from what is shown on the website.) We started near the intersection of Craig Road and N 5th Street. Then traveled North West from there. A good starting place would be the Craig Ranch Regional Park (very nice park) and then ask at the information kiosk for a trail map. The trail isn't that well marked when trying to negotiate the city streets to connect to the next section of wash trail. 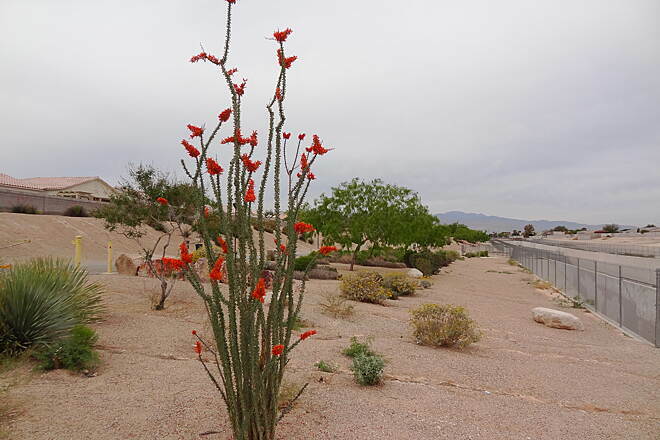 There are lots of desert plants along the trail and many were in blossom this time of year. Trail is nicely maintained and wide surface. We rode our bikes. There are city streets to negotiate every so often. All in all we did like the ride. A friend and I like to walk during our stays in Las Vegas. This time instead of walking the blocks around our hotel (which is off the strip and there is not much to look at!) I searched for a "scenic" trail for us to get our walking in. 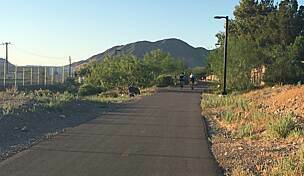 How refreshing to find a paved trail. It was serene, clean, and can't count out the beautiful weather. Directions were excellent and we had no trouble finding where to park. Also the notations of where the bathrooms were was a big plus. One day we walked one direction and back, the next time we headed the opposite direction from the parking lot. We also went over to the Pitman Wash on other days. We will definitely walk both places again on our next trip. I live right by this trail and another person in July stated that the pavement is cracked and is trashy. 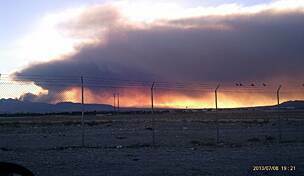 Well you can expect trash falling from the Great Basin Hwy to fall onto the bicycle trail. I know for a fact that my section of this trail is clean because I daily keep the trash picked up. 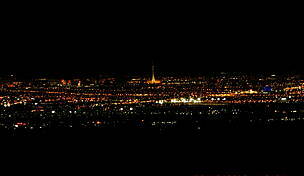 As for the crimes in this area they are less than what is in the Fremont area of Las Vegas. My property has not been vandalized since I moved here 3 months ago.